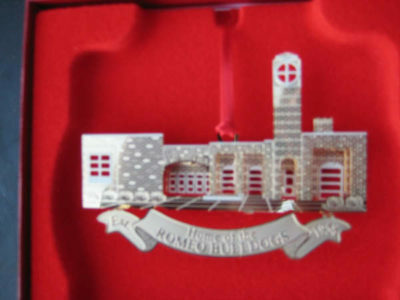 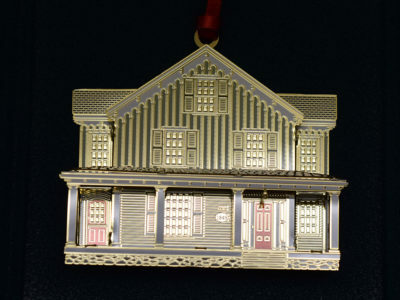 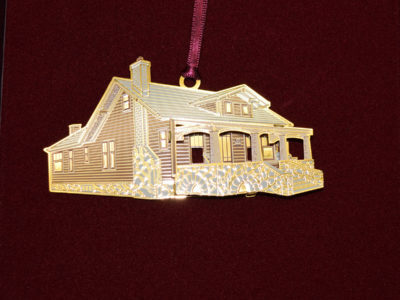 The 15th annual commemorative Christmas ornament features the Rowley-Gray home also called the ‘Wedding Cake’ house. 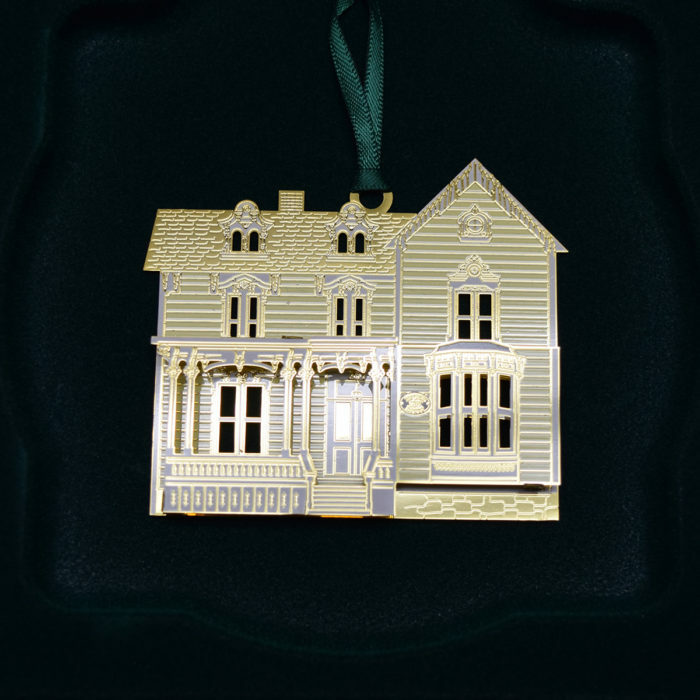 This home on Church St. is an elaborate yellow sided, white trimmed two story architectural confection overflowing with Victorian detail. 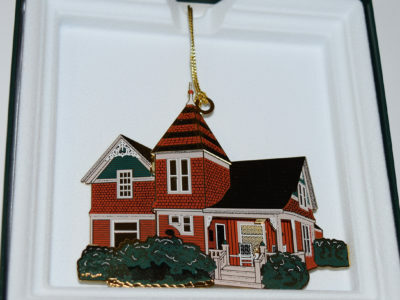 Built in 1869 for about $5,000 by David H. Rowley, it stands today.